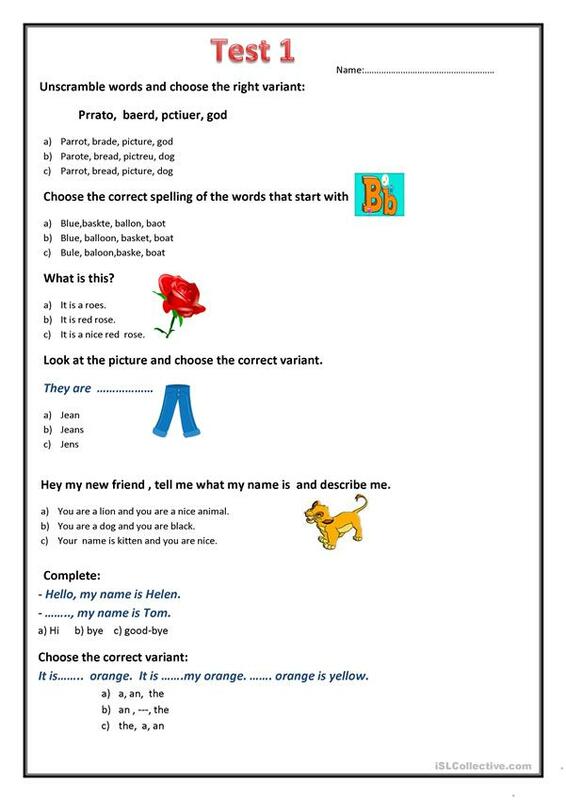 The present downloadable teaching material is recommended for elementary school students at Beginner (pre-A1) level. It is a valuable material for strengthening your groups' Writing skills. Me, Tarana Abbasova, who is an English teacher that has been teaching for 14 years trying to play a role of the successful future of my students. As a teacher, I want to improve their English abilities and create a wide outlook on their lives.I feel an unexplainable pleasure while entering the class and working with them.